The village of San Gregorio Atlapulco is one of the only remaining communities that farms in the Aztec agricultural tradition. 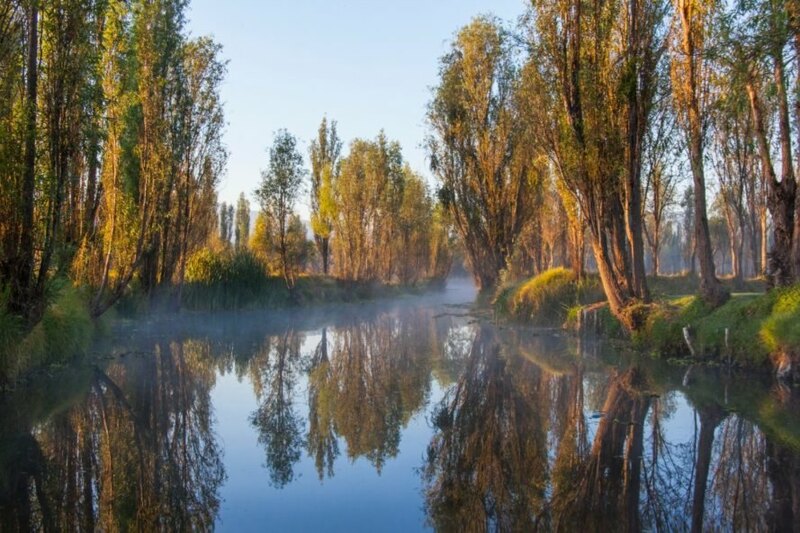 Located in Mexico City’s Xochimilco municipality, San Gregorio Atlapulco is home to vast fields known as chinampas, small islands which are connected by canals used for irrigation and transportation. Farmers cruise on boats through canals between fields to plant, cultivate, and harvest. Tenochtitlan, the Aztec island capital located in the middle of the Lake of Texcoco, was once fed by an integrated, complex system of chinampas. Though the Lake of Texcoco was drained and Tenochtitlan became Mexico City, echoes of Mexico‘s agricultural past still exist, though they remain under threat. The chinampas of Xochimilco municipality at dusk. 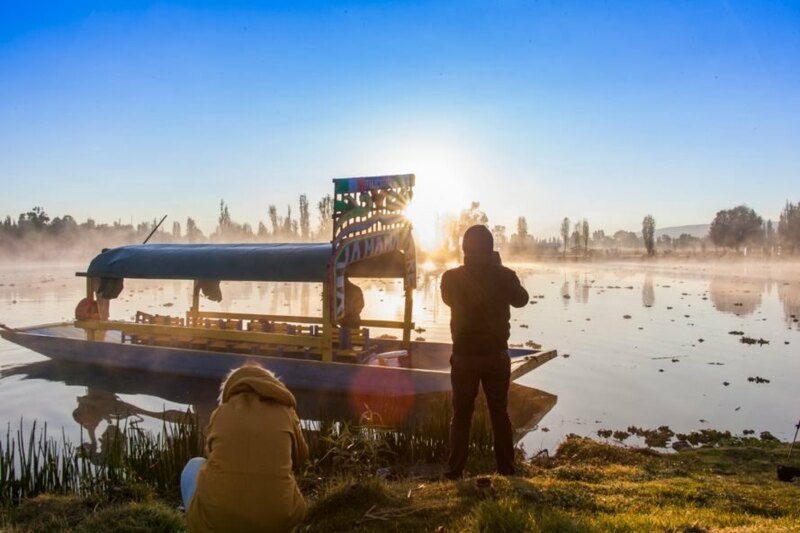 Visitors document the stunning vistas of the chinampas in Xochimilco municipality. Trees thrive on the well-irrigated chinampas of Xochimilco municipality. The village of San Gregorio Atlapulco is one of the only remaining communities that farms in the Aztec agricultural tradition. 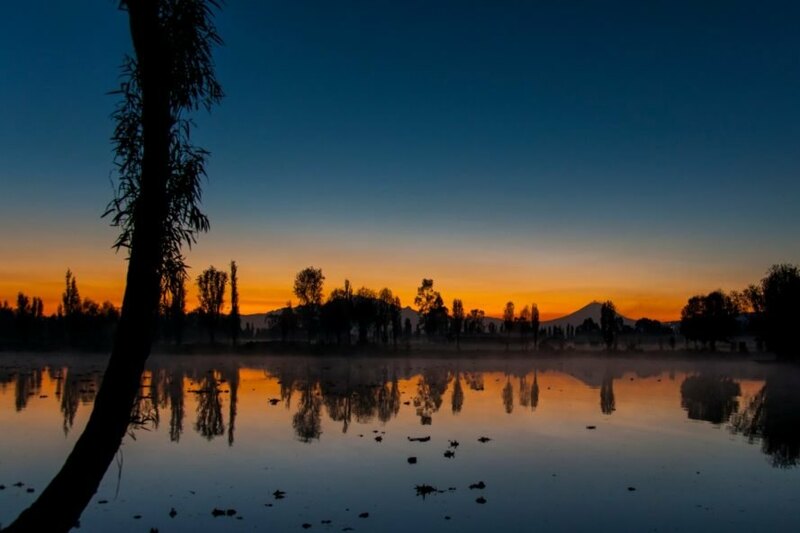 Located in Mexico City’s Xochimilco municipality, San Gregorio Atlapulco is home to vast fields known as chinampas, small islands which are connected by canals used for irrigation and transportation. Farmers cruise on boats through canals between fields to plant, cultivate, and harvest. Tenochtitlan, the Aztec island capital located in the middle of the Lake of Texcoco, was once fed by an integrated, complex system of chinampas. Though the Lake of Texcoco was drained and Tenochtitlan became Mexico City, echoes of Mexico's agricultural past still exist, though they remain under threat.